The CloudPay product team has been hard at work over the past year, addressing key needs and exploring new ways to improve the performance of our customers’ payroll operations. 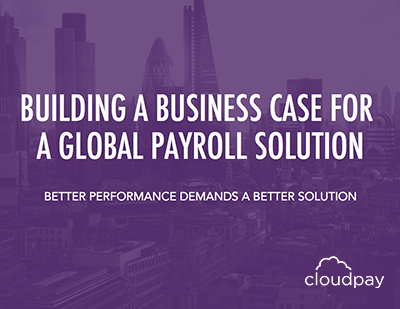 Looking back, we’re pleased to say that we’ve not only helped companies worldwide manage their businesses better, but actually moved the needle of what’s possible in payroll forward. Watch the video to find out how. Already getting attention within the payroll industry, our new Connect 2.0 framework greatly expands the possibilities of integration between payroll and HR applications. Connect 2.0 enables customers to resolve their HR data issues in real time and significantly reduce error resolution and processing times. 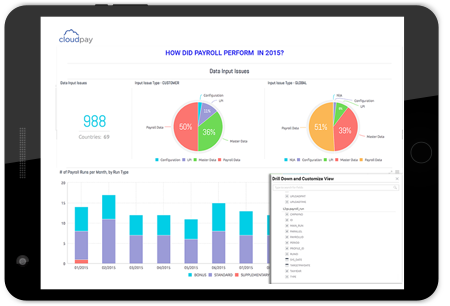 CloudPay’s extensive analytics dashboards now include even more useful content to help both our customers and our internal teams to better understand and improve upon their payroll performance. Deeper insights make collaboration more meaningful and effective, and enhanced real-time data and analysis enable better decision making and process improvement. Our payroll calendar has been updated to include task management capabilities, including marking tasks as complete, filtering payroll tasks, and even an audit trail that lets everyone see when a task was completed and by whom. One of the more in-demand features to come out of the product team this year, in-calendar task management promises to deliver a range of benefits to payroll teams. A key application of robotic process automation (RPA) technology in global payroll, CloudPay’s Robotic Data Validation (RDV) simplifies the critical validation step both before and after gross-to-net calculations. Robotic Data Validation is capable of validating more than 10,000 data fields in ten seconds, according to preconfigured tolerances set by your payroll team. Not only does RDV deliver more accurate data, but it has the potential to dramatically reduce payroll cycle times for CloudPay customers. Those are just the highlights of our payroll product development in 2018. 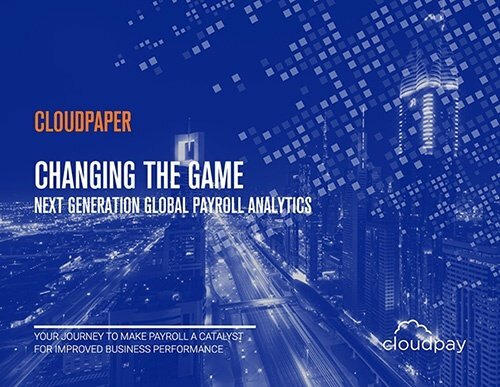 To better understand how CloudPay’s payroll technology and expertise can benefit your organization, contact us for a demo or take this online assessment of your global payroll.